If your dentist recommends root canal treatment for an abscessed tooth or another issue in your mouth, you should take the time to learn about the procedure so you know what to expect. This guide will help you learn more about the recovery process after a root canal so you can get the most out of the procedure and your new dental crown. You should expect to feel a little bit of discomfort in your mouth after the procedure. From tenderness in the jaw to soreness near the treated area, it is normal to experience these feelings as your body heals. Your dentist will most likely give you prescriptions for pain medication that can alleviate your symptoms. Make sure to follow the directions when taking any medication. Your mouth will be numb for a while after the procedure. It is important to avoid eating or drinking until you regain feeling or you could injure yourself by biting your cheek or tongue. You should not use that tooth to chew or to bite until you get a permanent dental crown put into place. Continue with your normal oral hygiene habits. If you notice extended swelling, an uneven bite, or any pain after the first few days, you should call your dentist. If you properly care for your dental crown, it will last for many years. Continue to brush and floss your teeth on a daily basis. Return to your dentist for checkups and cleanings twice a year and avoid eating food that is too hard or too full of sugar. As one of the top dentists in Tucson, John Carson, D.D.S. is here to help you with oral issues that are preventing you from enjoying a healthy smile. Whether you need a root canal or want to look into cosmetic dentistry, our team can help. Visit us online or call (520) 514-7203 to learn more about our root canal treatment options or to schedule your first appointment. It is no secret that smoking is bad for the health. Tobacco products can cause a lot of issues for your teeth and gums. Keep reading to learn more about how using tobacco can negatively affect your smile and increase your risk for certain diseases. 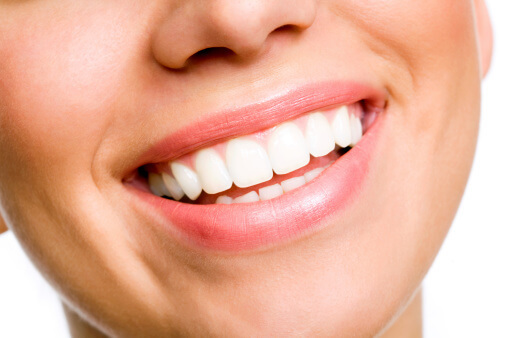 Many people believe that a person’s smile is one of the most attractive features of their overall appearance. If you smoke or use other tobacco products, you are increasing your risk for stained teeth, which decreases the aesthetic appeal of your smile. Regular use of tobacco might also give you bad breath that brushing your teeth or using mouthwash will not cure. 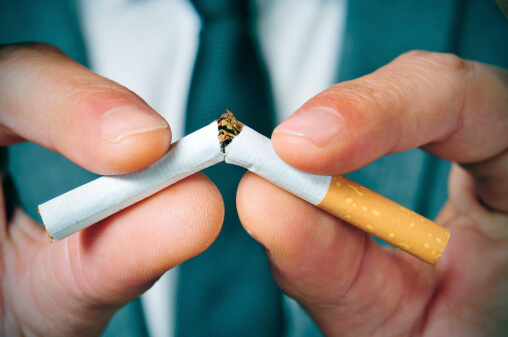 Smoking and tobacco use can increase your risk for certain oral issues, including periodontal disease, which could eventually cause significant tooth loss. These habits also make it more difficult for your mouth to heal after a procedure like a tooth extraction. They might also make it harder for the dentist to perform certain cosmetic procedures that could improve the look and feel of your smile. One of the most serious factors of using tobacco products is increasing your risk for oral cancer. Almost 40,00 Americans are diagnosed with some form of oral cancer every year. The disease is responsible for more than 7,000 deaths annually. If you stop smoking or using other forms of tobacco, you can significantly reduce your risk for these kinds of cancers. Schedule an appointment with Dr. John Carson to get the dental checkups you need to spot oral issues like periodontal disease or oral cancer early. As one of the top dentists in Tucson, Dr. Carson does everything he can to ensure that his patients always get the care they need to maintain the health of their teeth and gums. To learn more about the practice or to schedule an appointment, visit us online or call (520) 514-7203. Infections in the mouth can cause significant pain. When there is an infection that develops right at the tooth root or in between the gums and a tooth, it is considered an abscess. Use the following tips to find the best way to care for an abscessed tooth to minimize your discomfort and your pain levels. Abscessed teeth can cause a variety of symptoms. Understanding these symptoms helps you figure out what is causing your pain so you can get the help you need. One of the most common side effects of an abscess is pain when you chew. You might also experience a fever, sensitivity to hot or cold, or redness or swelling in your gums around the affected area. As soon as you experience any of these symptoms, you should schedule an appointment with your dentist. He or she will use a special instrument to go over the affected area to find the source of your discomfort and determine if it is actually an abscessed tooth. The dentist might also take X-rays to see how far the infection has spread. Once he or she determines that you actually have an abscess, the dentist can then determine the next phase of your treatment. The most important aspect of treating an abscess is draining the tooth to get rid of the infection. In most cases, this will require a root canal. If the infection has spread, the dentist might need to extract the tooth or to create an incision in the gum tissue. If you think you have an abscessed tooth, schedule an appointment with John Carson D.D.S. to get the root canal treatment that you need to get rid of the infection. As one of Tucson’s top dentists, Dr. Carson is here to ensure that your teeth and gums are as healthy as possible. To learn more about our services or to schedule an appointment, visit us online or call (520) 514-7203. It is never too late to start improving your oral health. Use this guide to learn about some of the best ways to care for your teeth and gums so you can enjoy a beautiful, healthy smile for life. One of the most important aspects of your oral health is the way you clean your teeth and gums. You should brush your teeth at least twice a day with a soft-bristled toothbrush to dislodge food, plaque, and other bacteria that could be coating your teeth. Floss at least once a day to reach the areas in between your teeth and gums. For the best results, you should finish up your oral hygiene routine with some mouthwash to really ensure that you have a clean mouth. Regular dental visits can also help you properly care for your teeth. You should go to the dentist for a checkup and deep cleaning once every six months. 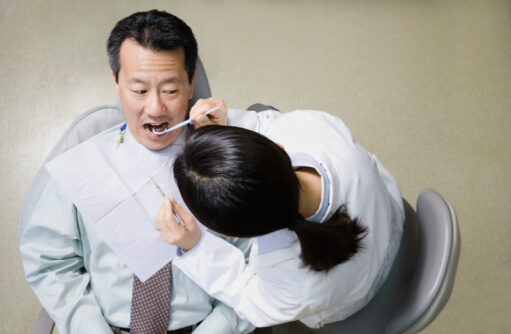 Most people only need to see their oral health professional twice a year. If you have issues that need further attention, your dentist might recommend that you come in for more visits. The foods you eat play a huge role in the overall condition of your teeth. Try to limit your sugar intake to reduce the amount of fuel the bacteria in your mouth have to create acid that could lead to tooth decay. Eat a lot of leafy greens, lean protein, and healthy fat. Focus on getting a good amount calcium each day to keep your teeth healthy and strong. With the help of one of Tucson’s top dentists, Dr. John Carson, you can ensure that your teeth and gums are as healthy and as beautiful as possible. From preventative care to deep cleanings, our office is dedicated to assisting all of our patients on their journey to better oral health. To learn more about our services, check out our website or call (520) 514-7203. Certain oral symptoms can give you an indication of bigger issues. Keep reading to find out about the causes of bleeding gums so you know when the time is right to call your dentist in Tucson for a checkup. One of the most common causes of bleeding gums is gingivitis. As the mildest form of gum disease, gingivitis causes less severe symptoms than more advanced forms of the disease. When plaque and bacteria accumulate near the gum line, they can lead to inflammation and infection that eventually develops into gingivitis. If you improve your oral hygiene routine and schedule regular visits with your dentist, you can beat gingivitis and once again enjoy healthy gums. If you do not properly care for your mouth after you develop gingivitis, it might turn into periodontitis, which is a more serious form of gum disease. 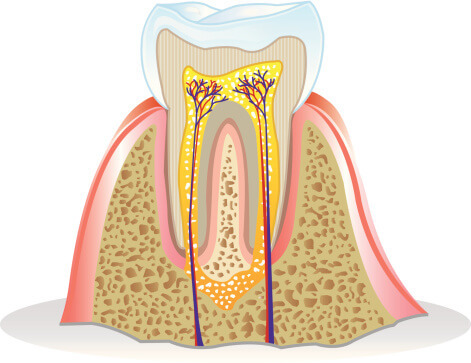 Periodontitis attacks the soft tissue and the bone that surround your teeth. If you do not pay attention to it, it could eventually lead to tooth loss. It might also increase your risk for heart attack or stroke. Sometimes your gums can bleed as a result of your oral hygiene efforts. If you use a hard toothbrush and force it over your teeth or gums, you might notice that your gums occasionally bleed. You should switch to a soft-bristled brush and make an effort to clean each surface of every tooth and along your gums. A lot of women notice a change to their oral health when their hormones start to change. Pregnant women have a higher risk of developing periodontal disease because of these hormonal changes. Post-menopausal women might also have trouble. Regular visits to John Carson, D.D.S. can help you avoid bleeding gums and the oral issues that cause them. As one of Tucson’s top dentists, Dr. Carson is here to help you with every aspect of your oral care from prevention to root canals. To learn more about our services or to schedule an appointment, call (520) 514-7203. Gum disease can lead to serious issues in your mouth and might even increase your risk for diseases in other areas of your body. If you catch it early, you can get the treatment you need to get rid of gingivitis before it leads to bigger problems. Use this overview of gingivitis to learn more about the disease and how to get rid of it. There are a few different factors to contribute to your risk for gingivitis. One of the most common causes of this condition is poor oral hygiene. If you do not properly brush and floss your teeth, plaque and bacteria can develop in your mouth and along the gum line and turn into tartar. Once tartar develops, it is even harder to remove plaque. Without the proper attention, the tartar and plaque will lead to inflammation and gingivitis. Since gingivitis is such a mild form of periodontal disease, a lot of people do not even realize when they have it. As you brush and floss your teeth, pay attention to your gums. If you notice any swelling or bleeding, you might already have gingivitis. You should also look out for a receding gum line or a change in your gum color. If you do notice any of these symptoms, you should see your dentist as soon as possible. If you catch gingivitis early, you can treat it easily. Your dentist can give you a deeper cleaning to get rid of plaque and tartar that have developed on your teeth and gums. He or she will also give you some helpful advice about improving your at-home oral hygiene routine. If you pay attention to the way you brush and floss and return to the dentist regularly, you can enjoy healthy teeth and gums. Come see Dr. John Carson, D.D.S. to get the dental care you need in Tucson. From regular checkups to cosmetic dentistry, Dr. Carson makes it easy and convenient to improve your oral health. To learn more or to set up your first appointment, call (520) 514-7203.